Karim Benzema scored twice as Real Madrid eased to a third La Liga win of the season with a 4-1 victory over Leganes. Gareth Bale opened the scoring for the European champions before Leganes drew level from the penalty spot, but Benzema struck twice in the second half before Sergio Ramos completed the scoring, also with a penalty. The home side dominated the opening period and it was no surprise when they took the lead after 16 minutes. Ramos picked out Dani Carvajal with a superb cross-field pass and when Carvajal headed the ball back across goal, Bale swivelled to produce a right-foot volley from 12 yards that wrong-footed goalkeeper Ivan Cuellar. Cuellar did well to get a strong hand on the ball but could not prevent it crossing the line, with defender Unai Bustinza also failing in a desperate attempt to keep the ball out. The Bernabeu crowd were probably expecting the floodgates to open but instead it was the visitors who struck next to get back on level terms when Javier Eraso was brought down in the area by Casemiro. Casemiro's protests fell on deaf ears and Guido Carrillo stepped up to send debutant Thibaut Courtois the wrong way from the spot with 24 minutes on the clock. 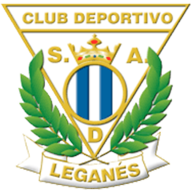 Leganes were also the next to threaten another goal as Michael Santos, who had been booked moments earlier for a foul on Casemiro, broke clear and was allowed to run unchallenged towards the area, only to shoot tamely straight at Courtois. That sparked Real into action and Carvajal's cross set up Bale for a header on target - but his effort lacked the power to trouble Cuellar and a long-range shot moments later flew high over the bar. Benzema's shot from a narrow angle then drew a good save with his feet from Cuellar and with the last kick of the half, Marco Asensio also fired straight at the goalkeeper. It took just two minutes of the second half for Real to have the ball in the net, although it took several more minutes and the intervention of VAR for the goal to stand. Benzema's superb header into the bottom corner from Asensio's left-wing cross was initially ruled out for a foul by the forward on defender Jonathan Silva, but the replay showed Silva had been guilty of grappling with Benzema as the ball came over. 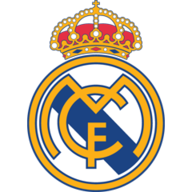 The referee eventually came to the correct decision and there was no doubt about Benzema's second of the night in the 61st minute, the 30-year-old finishing off a delightful team move with a shot into the bottom corner from the edge of the penalty area. Any faint hopes Leganes had of battling back into the contest were extinguished five minutes later when Bustinza needlessly brought down Asensio as he chased a ball which was about to go out of play, with Benzema denied the chance of a hat-trick as Ramos calmly scored from the spot.